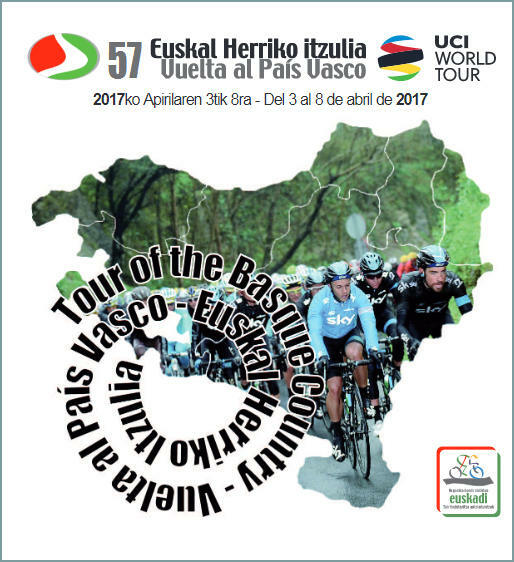 The 57th edition of the Vuelta al País Vasco (Tour of the Basque Country) runs from Monday, April 3 through Saturday, April 8, 2017. This could be called the Capital Steps edition of Pais Vasco, since the stages will start from the various capital cities of Basque region: Pamplona, Vitoria, San Sebastián, and Bilbao. The queen stage, Stage 5, ends on the iconic climb of Arrate, setting up a gripping Stage 6 time trial at Eibar on Saturday. Although the route is said to be less difficult this year, offering more opportunities for sprinters, this final stage against the clock starts with a climb and is bound to be decisive. Alberto Contador defends the overall title this year, and will be chasing his 5th career victory in Basque Country, after winning the GC in 2008, 2009, 2014 and 2016.